The Square Kilometre Array (SKA) is a global science and engineering project to build a revolutionary new radio telescope with extraordinary scientific ambitions. 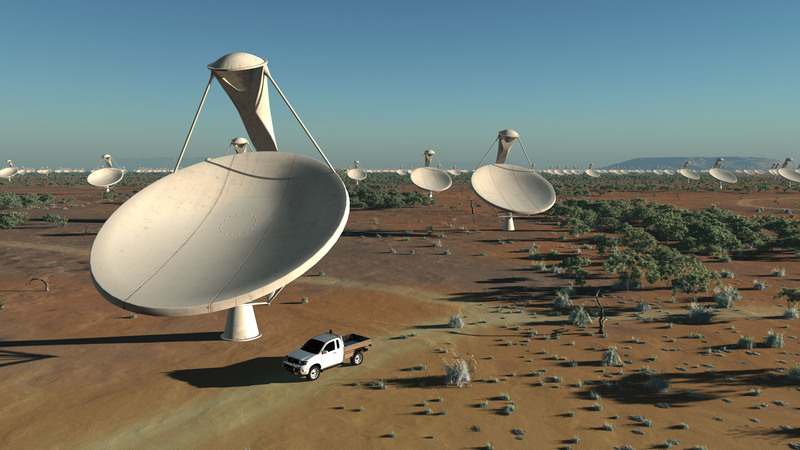 With funding from ten nations the building of the SKA will start in 2016 and be fully operational in 2024. It will tackle some of the profoundest questions of cosmology associated with organic molecules, gravitational waves, pulsars orbiting black holes and light from the earliest stars that illuminated the universe. To do this the SKA will require super computers, innovative new power stations and high speed communication links that currently do not exist. This interview with Professor Michael Kramer was recorded in March 2012 at the National Astronomy Meeting in the University Manchester two months prior to the announcement that the Square Kilometre Array will be built in South Africa along with Australia & New Zealand. Professor Kramer from the Max Planck Institute for Radio Astronomy in Germany that manages the 100m Effelsberg Radio Telescope is a former associate director at Jodrell Bank and still professor there, talks about the technical, political and economic concerns associated with the SKA project.